Flourless Zucchini Oatmeal Cookies are a quick and easy healthy dessert or snack recipe made in under 15 minutes! Loaded with shredded zucchini and chocolate chips, these zucchini cookies are completely vegan, eggless and gluten-free! 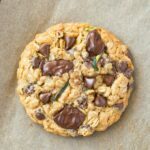 Delicious flourless oatmeal cookies with shredded zucchini, chocolate chips and naturally sweetened, these cookies are a delicious way to hide a vegetable in desserts (or as a breakfast cookie)! You also only need 5 ingredients! 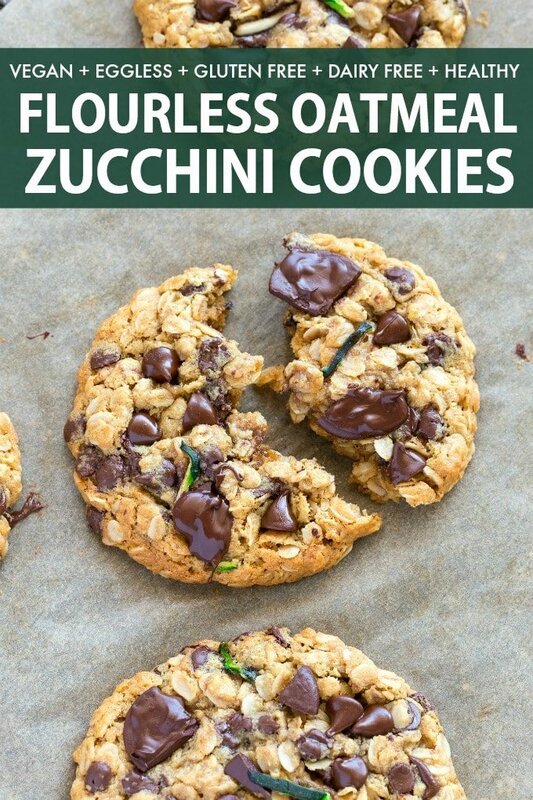 Depending on which part of the world you are located, you may call them zucchini cookies or courgette cookies. Regardless, these delicious cookies will satisfy your cookie cravings AND serve a side of greens… hidden inside! There are many ways to use zucchini in baking. Pulverized or blended zucchini can help add moisture to caked and muffins. 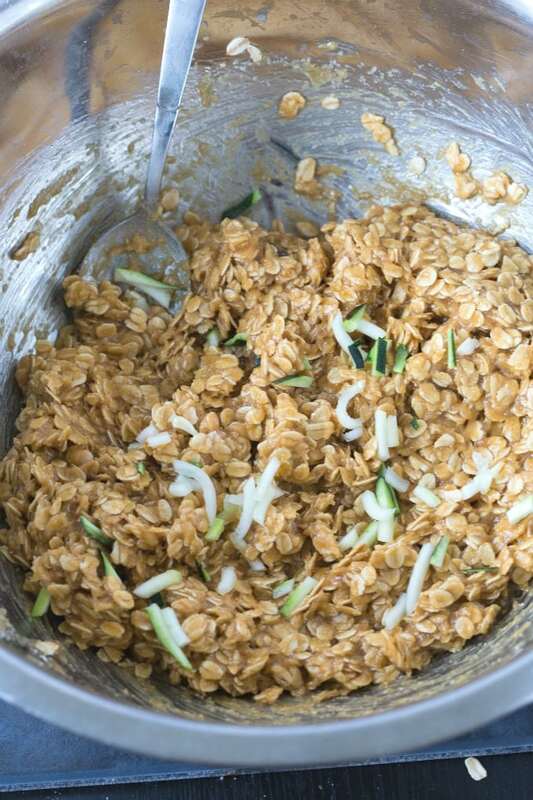 Riced zucchini can be hidden in quick bread and sweet bread. My favorite way to use zucchini in baking is to shred it and add it to multiple foods! You can add shredded zucchini in various types of foods. 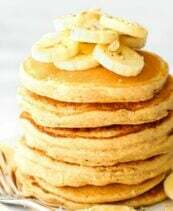 Some of my favorites include adding them to flourless pancakes and hiding them in a chocolate cake. 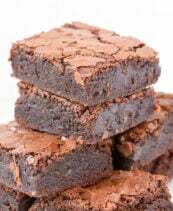 My personal favorite is making zucchini brownies! Step 1: Preheat the oven to 175C/350F. Line a baking tray with parchment paper (or a non-stick cookie sheet) and set aside. Step 2: In a large mixing bowl combine all your ingredients, except for the chocolate chips. Mix until fully combined. Using a rubber spatula, fold in your chocolate chips. Step 3: Form 16 small balls of cookie dough. Place the balls of dough on the lined baking tray (or cookie sheet). Press each ball into a cookie shape. 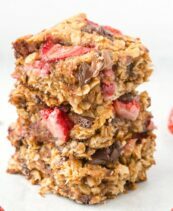 Top with extra chocolate chips, and bake for 12-15 minutes, or until golden on the edges and chocolate chips have melted. Step 4: Allow cookies to cool on the tray for 10 minutes, before transferring to a wire rack to cool completely. Can I freeze zucchini cookie dough? Unfortunately, as this cookie dough is oatmeal based and contains no butter, no oil, and no eggs, it is not suitable for freezing. Freezing it without baking will yield a tough and brittle dough, which will be unable to be baked. Can I freeze zucchini oatmeal cookies? Freezing already baked zucchini cookies is a great option, especially if you prepare too many to enjoy over several days. To freeze leftover cookies, wrap portions (I am for 3-4 in a portion) in parchment paper, before either placing a sealed container or plastic wrap. This will ensure the cookies remain fresh and void of freezer burns. Can I refrigerate zucchini cookies? Zucchini cookies are best kept refrigerated, as they will keep for at least a week this way. Store leftover cookies in the fridge in a sealed container for up to a week. Ensure you squeeze out all the moisture from the zucchini before adding to the cookie batter. This ensures the cookies will be moist and chewy, without spreading and sinking once being baked. Do not overbake the cookies, as they will continue to firm up once cooling. For soft and chewy cookies, remove when ‘just’ golden brown. To keep these cookies peanut-free, you can substitute the peanut butter for either almond butter or cashew butter. These zucchini breakfast cookies can be made 100% nut free. Simply replace the peanut butter with one of the following- Sunflower seed butter, wow butter or tahini. 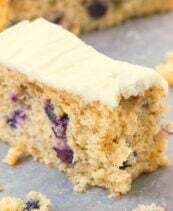 Mashed, overripe banana is preferred, but you can replace it with unsweetened applesauce. Start with 1 1/4 cups and adjust accordingly. 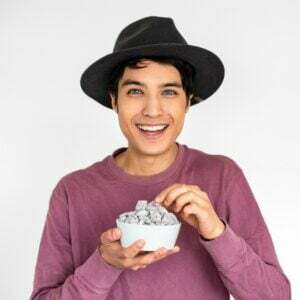 Gluten Free Rolled Oats are best to use, but quick oats will work just as well. A substitution for oats is either quinoa flakes or buckwheat flakes. Use a combination of mini chocolate chips and standard chocolate chips will ensure that the cookies are loaded with chocolate chips with every bite. These oatmeal zucchini cookies are naturally sweetened. For sweeter cookies, add a dash of maple syrup or some agave nectar. To keep these cookies 100% sugar free, use sugar free chocolate chips. 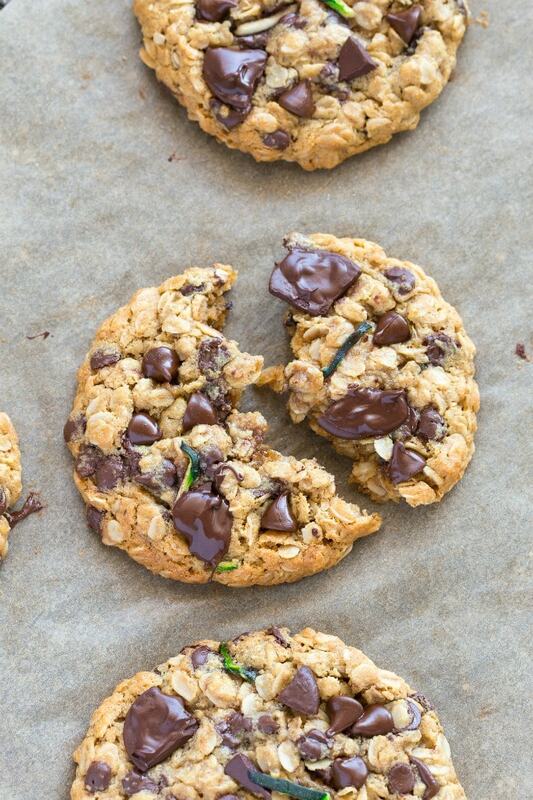 Healthy flourless zucchini oatmeal cookies loaded with chocolate chips and ready in 15 minutes! Made with just 5 ingredients, these soft and chewy oatmeal cookies are perfect for breakfast or dessert! 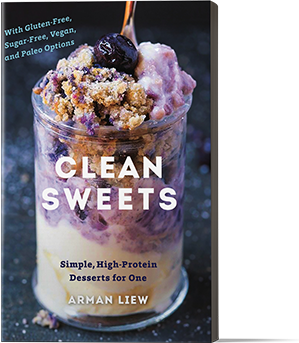 Vegan, Gluten Free, Dairy Free, and Refined Sugar Free. Preheat the oven to 175C/350F. 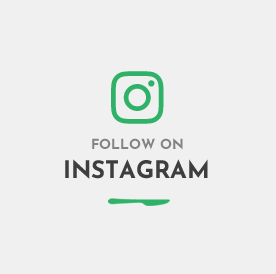 Line a large baking tray with parchment paper. Alternatively, you can use a cookie sheet. In a large mixing bowl, add your ingredients, except for your chocolate chips, and mix well. Fold in your chocolate chips. Form 16 balls of dough with the batter. Place the balls on the lined tray and press each one into a cookie shape. Top with extra chocolate chips and bake for 12-15 minutes, or until golden on the edges. Allow cooling on the tray for 10 minutes, before transferring to a wire rack to cool completely. For sweeter cookies, add a dash of maple syrup or agave nectar. Healthy Zucchini Oatmeal Cookies can keep at room temperature in a sealed container, provided you consume them within 2 days. Zucchini cookies should be stored in the fridge and will keep for up to 1 week. 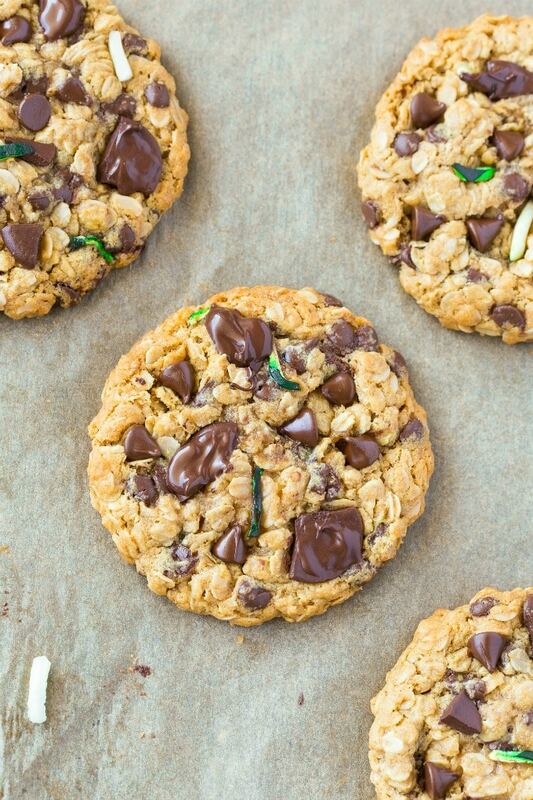 Zucchini oatmeal cookies are freezer friendly and can be kept frozen for up to 2 months.